As the poem in the previous entry indicates, we often make a point of being out in the open on Midsummer’s Day. We do this whatever the weather. The poem records a previous Midsummer. There St John’s Wort provides the Midsummer theme, a plant especially associated with this time of year. Although the longest day usually occurs on the 21st June, and so is called Midsummer Day, the 24th June (St John’s Day) is also often so called. In fact the day length, rounded to whole minutes, is the same for each day between the 21st and the 24th June. So ‘Midsummer’ is best thought of as a time of year rather than a precise event as suggested by the Summer Solstice. Nevertheless, we always choose to go out on the ‘Longest day’ for a picnic and to spend some time in the Midsummer atmosphere, I suppose as much for symbolic reasons as for any other . This year we went out to the sand dunes to look for orchids. Some heavy showers of rain fell in the morning, but by the time we had prepared our picnic lunch and were ready to go out, the sky was clearing with some patches of blue appearing. So, following our picnic, we went in search or orchids on a bright, if windy, afternoon. 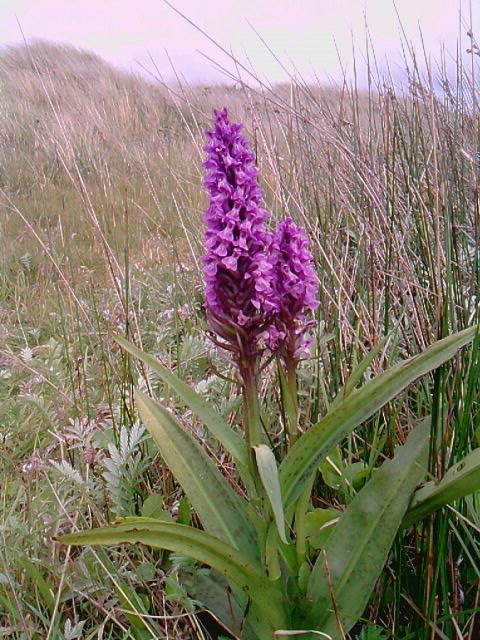 There were plenty of marsh orchids and pyramidal orchids in flower and quite a few helleborines still in bud.This splendid specimen, towered above the other orchids and had purple blotches on its leaves. 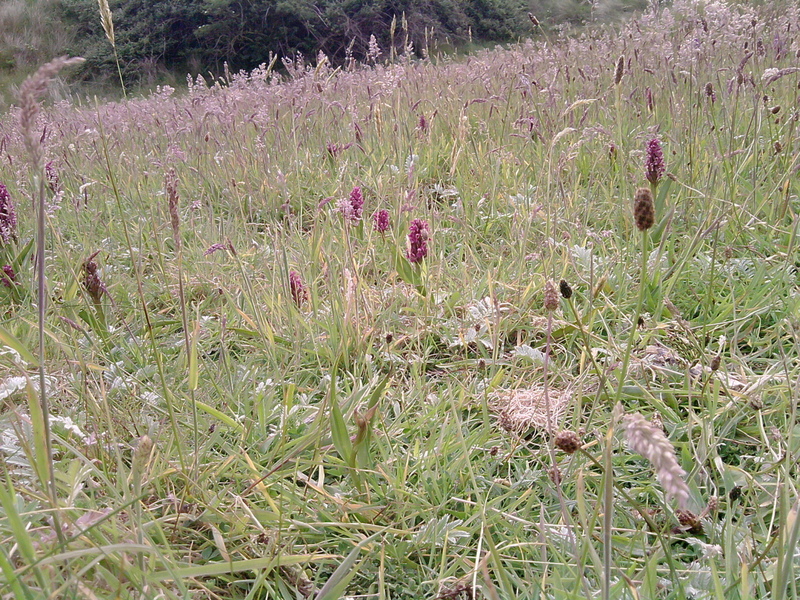 We identified it as a Broad-leaved Marsh Orchid (Dactylorhiza majalis). We found this at the end of a long afternoon on the way back from the far reaches of the nature reserve, on our way to the Information Centre where we intended to ask where we might find the Bee Orchids that we knew were there but could not find. But we had left it too late and the centre was closed. No matter. We spent the end of the day looking across the estuary to the distant mountains and watching the waves roll onto the sandy beach which, by then, we had almost to ourselves. Rain clouds were gathering again as we made our way home. But it had been a perfect Midsummer’s Day for us in the brightness of the afternoon and the extended tranquility of the evening. I went to Barra three years ago when the island was in bloom. 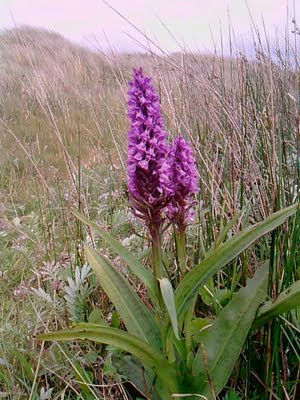 Wherever I walked there were delicate Hebridean orchids flowering by the road side, in the ditches, grasslands and even close to the sea shore. 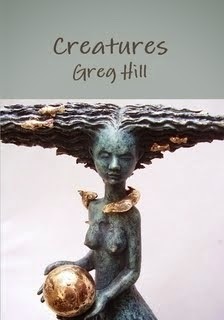 Beautifully formed and delicately sturdy. Perfect. Your blog reminded me of a very happy flora-time.